On the first stop of the 32nd annual Georgia Peanut Tour, attendees visited Tillman and Deal Peanut Buying Point in Statesboro, Georgia. 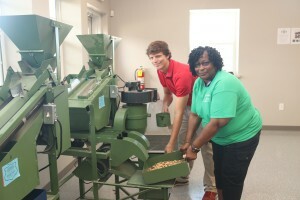 The new buying point opened in the fall of 2017 and buys peanuts for Premium Peanut, a peanut sheller based out of Douglas, Georgia. Premium Peanut owns and operates the newest and largest peanut shelling facility in the world. 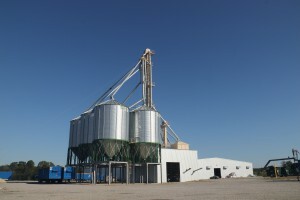 The shelling plant was founded in the fall of 2014 when seven buying points in South Georgia came together to form Premium Peanut. The shelling facility is grower-owned and was designed to integrate the peanut production process, stabilize the market for growers in the region, and ensure a stable supply of peanuts at a competitive cost. 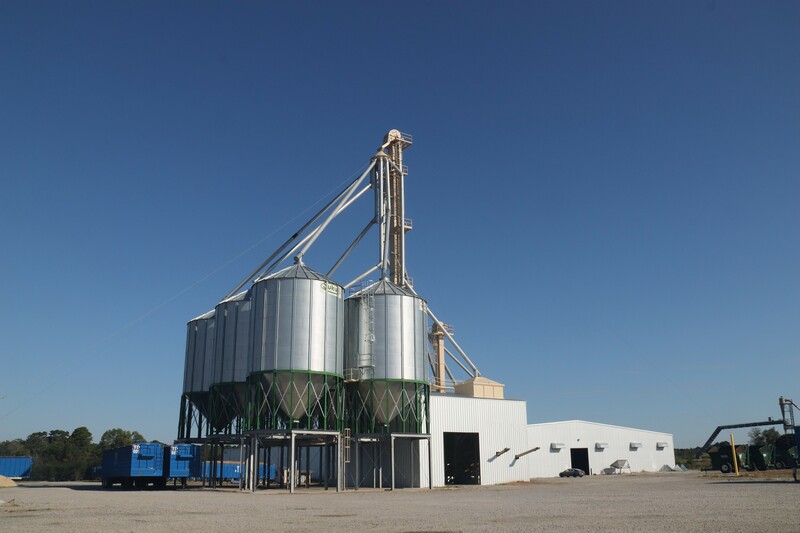 The Premium Peanut shelling facility was designed with the best and newest equipment in the industry, possessing a shelling capacity of over 300,000 tons of peanuts per year. In January of 2016, one month ahead of schedule, shelling operations began on the 2015 harvested crop. In 2018, Premium Peanut expanded to include a filtered crude peanut oil facility located adjacent to the shelling plant. The new operation has the capacity to produce more than 3 million gallons of peanut oil per year. Tillman and Deal is the first-place farmers deliver their peanuts to at harvest time. The peanut buying point receive, weigh, clean, dry, inspect, grade and prepare peanuts for storage and shelling. All United States produced peanuts must be inspected by the Federal-State Inspection Service at a registered peanut buying point. 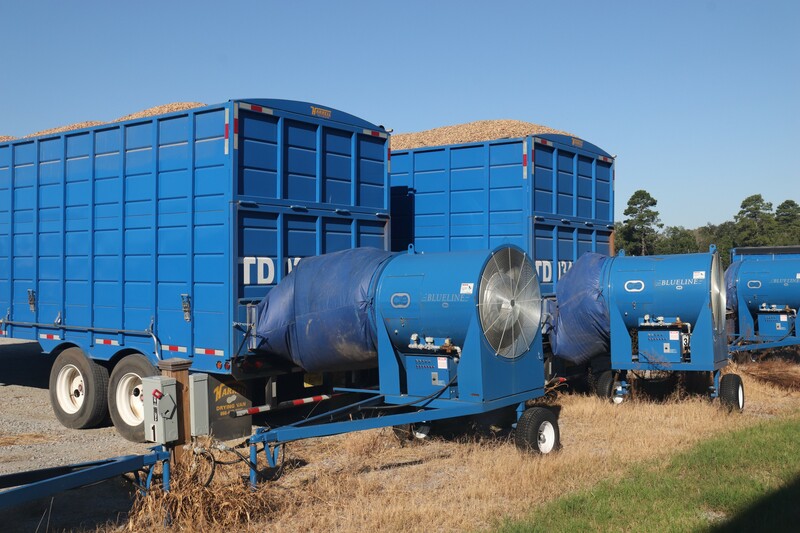 Tillman and Deal buys peanuts from approximately 30 farmers in the area and grades and stores nearly 30,000 tons annually. As peanuts enter the buying point, a sample is taken to determine the moisture level of the peanuts. All peanuts need to be at least 10.5 percent moisture level or below. If the peanuts are above 10.5 percent in moisture then the peanuts are dried in the wagons to decrease the moisture level. 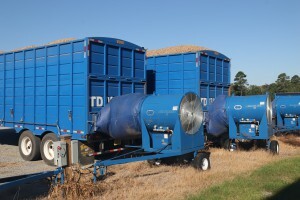 The semi-trailers are hooked up to large dryers where air flows through the peanuts and dry them at 105 degrees F. The semi-trailers hold 30 tons of peanuts per load. Once the peanuts are dry then a sample is taken from the trailer where the peanuts are graded by the Georgia Federal-State Inspection Service. Peanuts are classed by weight, damage and foreign material. If the sample has more than 7 percent foreign material then the peanuts need to run through the cleaner. Once clean, peanuts are put in elevator and placed on a conveyor belt for storage in a warehouse that can hold 15,000 tons of peanuts. Currently, Tillman and Deal only stores the peanut variety, Georgia O6G, in the warehouse on site. All other varieties grown by farmers in the area are shipped directly to Premium Peanut for storage. Once peanuts leave the buying point and shelling plant then they are shipped by train or semi-trailers to manufacturers who process peanut butter, candy products or delicious roasted peanuts.